Baby is our most recently crowned Field Champion and Amateur Field Champion. 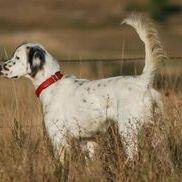 Her dam is FC AFC Trinity's Razzle Dazzle; her sire is 2XNAFC FC AFC Chukarhill Rimrock Ridge. 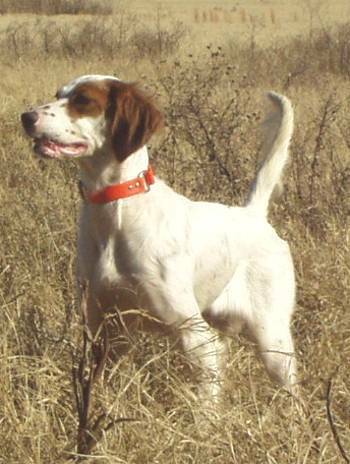 Baby is the complete package - She's a solid gun dog, honest on her birds, and a real team player. She transitions easily from horseback to foot handling. She is fast, stylish, and extremely birdy. 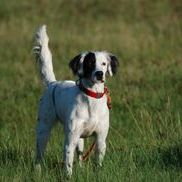 Baby has had some significant achievements - 4th in the Derby Classic at the 2012 ESAA National Championships, 2nd in the Derby Classic at the 2013 AKC Pointing Breed Gun Dog Championship, and Judge's Award of Merit at the 2015 ESAA National Championships. 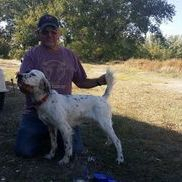 In the 2016 season, Baby will be running exclusively in Grand and Limited stakes in her bid to earn #1 English Setter per AKC rankings.